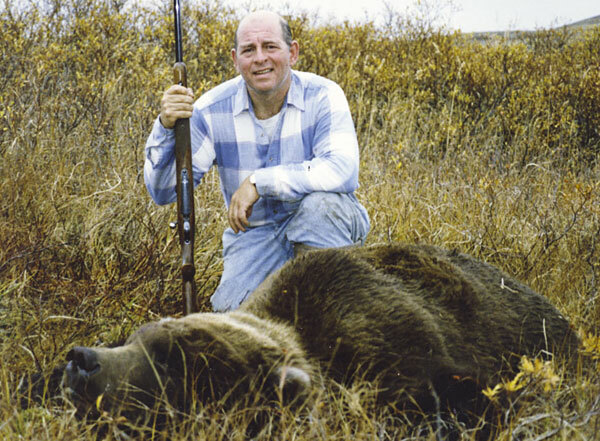 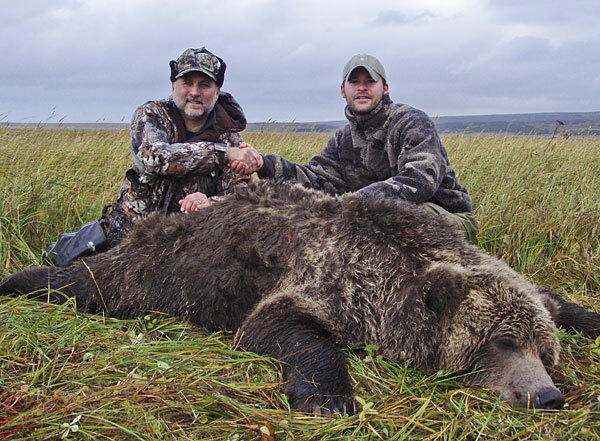 Some of the biggest bears killed in Alaska come from this region and we have a proven track record of personalized, first class trophy hunts. 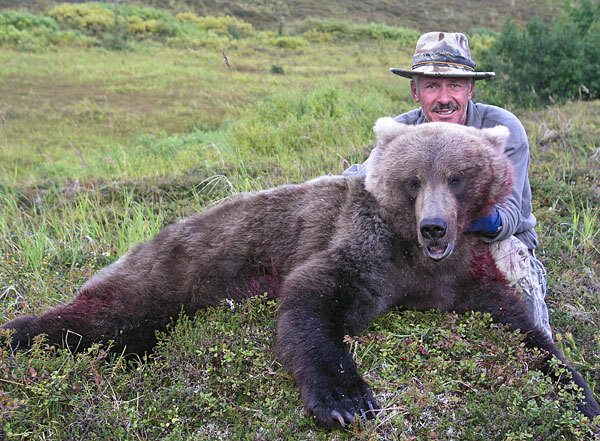 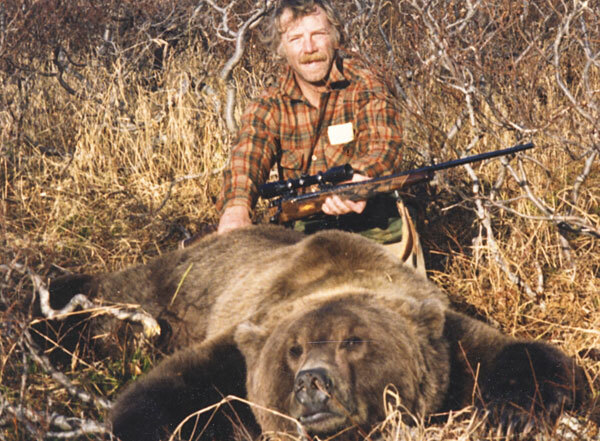 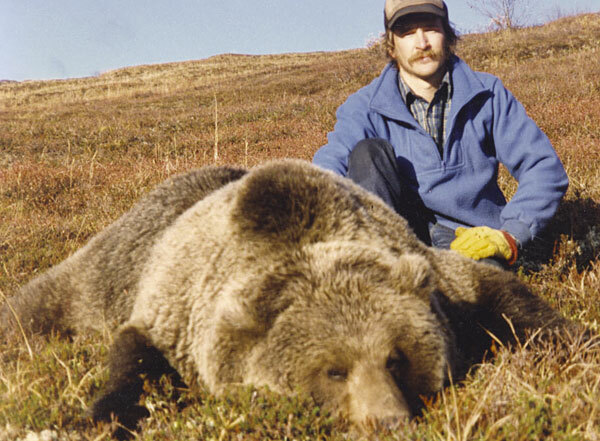 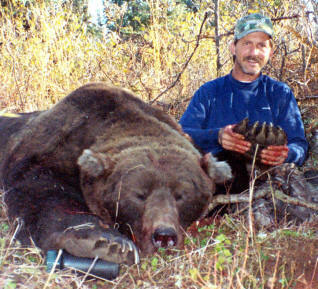 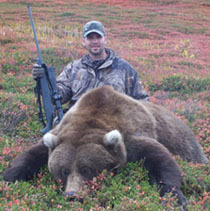 Someone once said hunting brown bear or grizzly in Alaska is 98% boredom and 2% sheer terror. 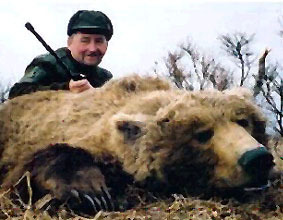 While this statement is true in some instances, it is not the general rule. 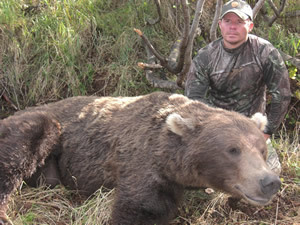 Hunting grizzly bear does require a great deal of patience, resilience to inclement weather and a great deal of glassing. 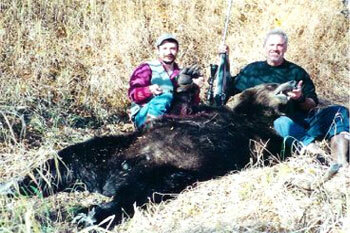 But make absolutely sure you have a big enough gun and know how to shoot it accurately. 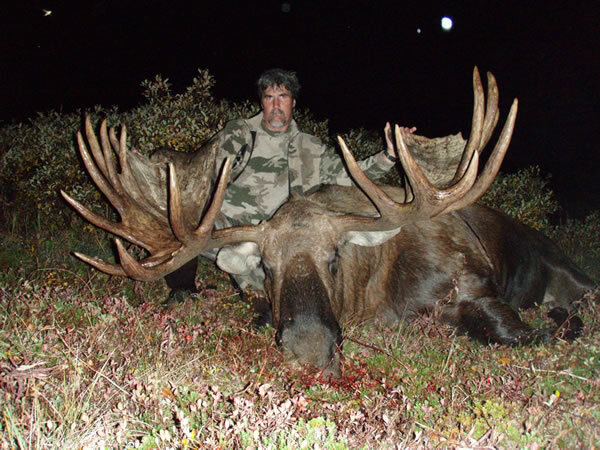 We suggest something in the .300 Magnum class, or larger. 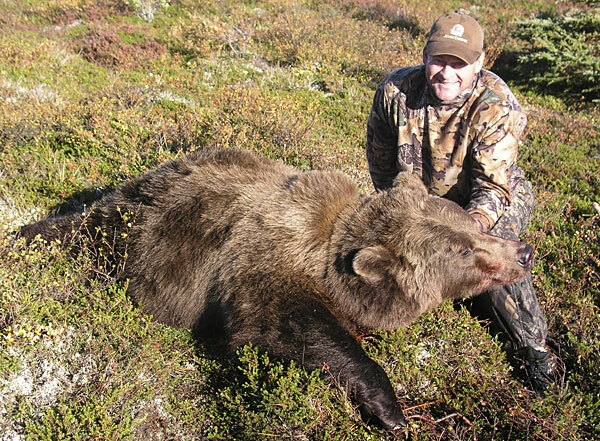 Honest sizes range between 8'-9½' with skulls that vary from 24”-28”+. 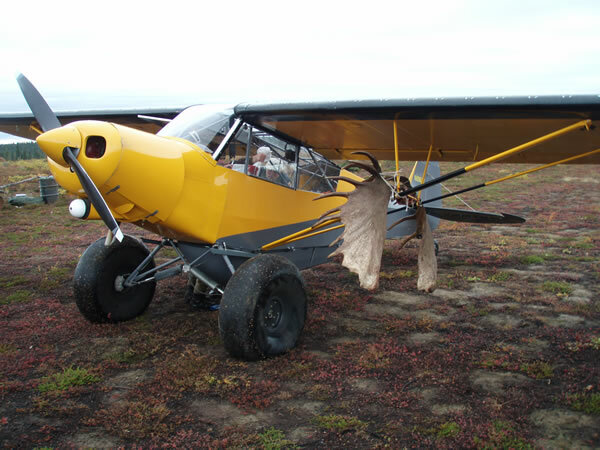 Our historical success is 85%-100%, depending on the year and weather. 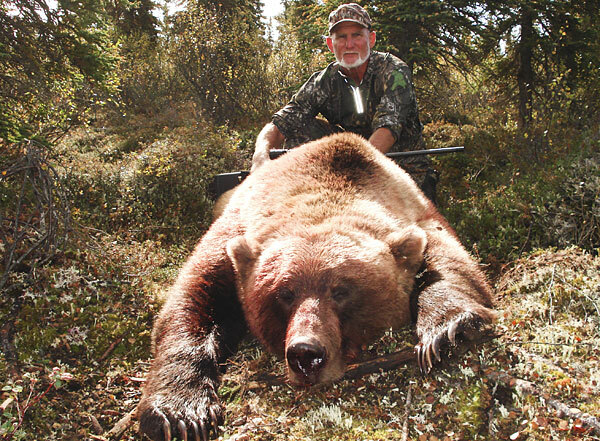 We take a limited number of hunters per season and are committed to providing each client with excellent service and a high success rate on large bears. 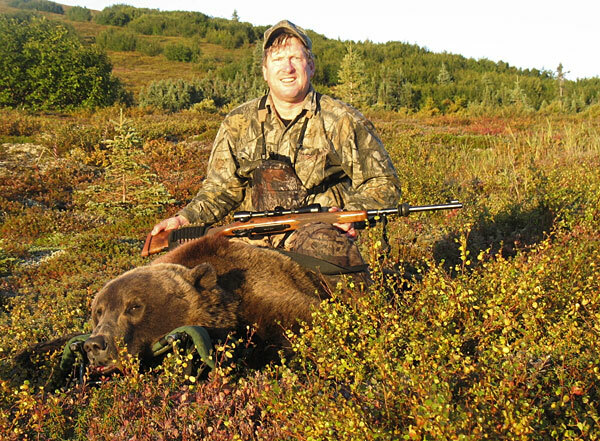 During the fall season, the bears are at their heaviest weight. 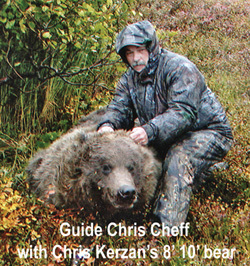 This is the time of year when the bears move from the salmon streams to the hillsides seeking succulent berries. 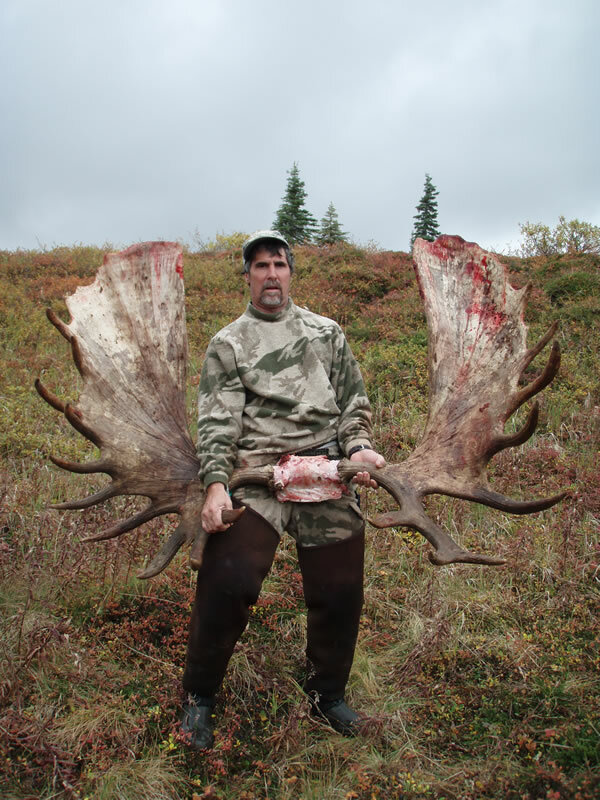 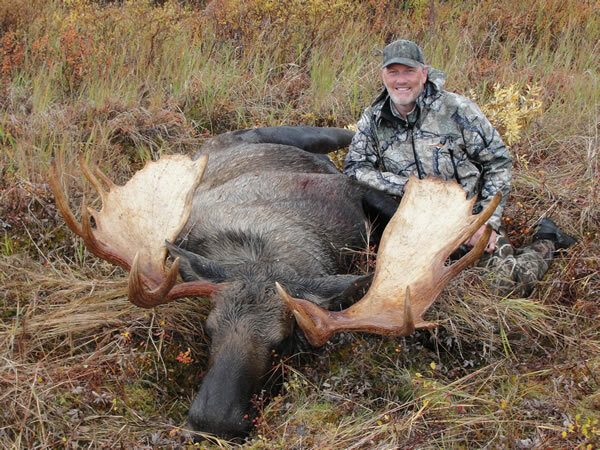 Most fall brown / grizzly hunts are booked as a combo hunt with moose. 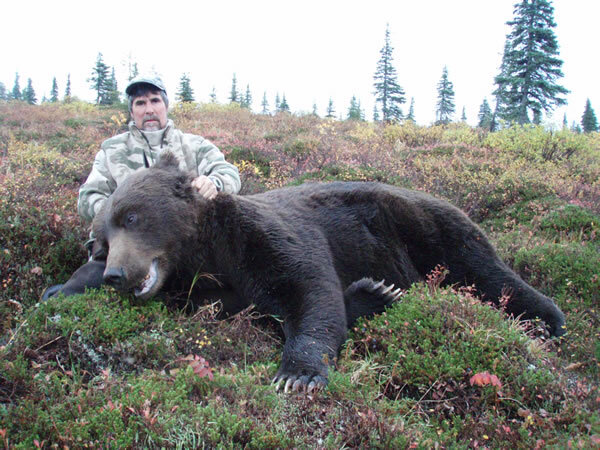 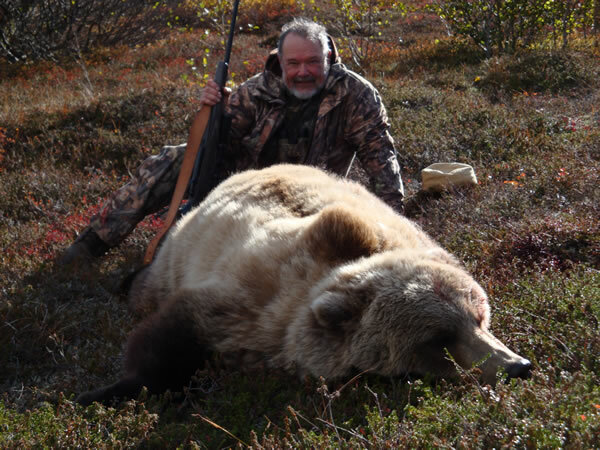 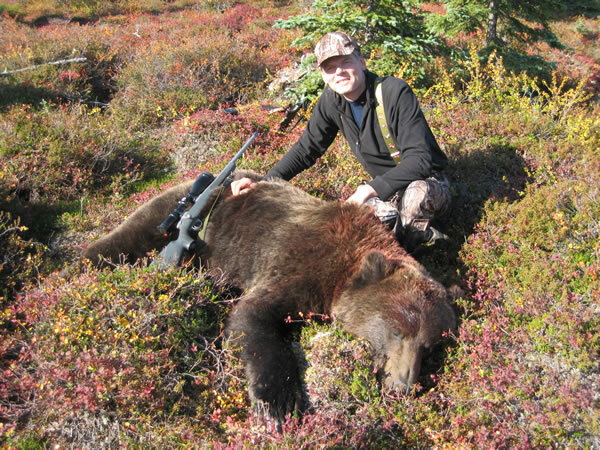 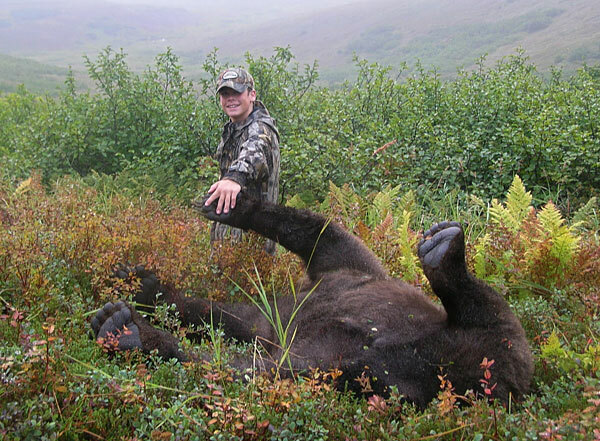 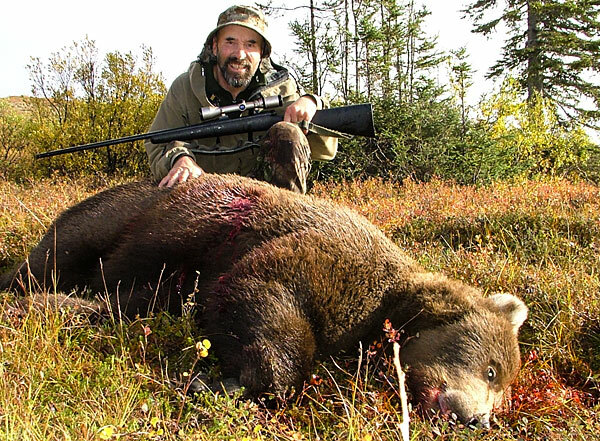 Our brown / grizzly bear hunting trips are conducted in Unit 19 and 17 in western Alaska and is home to some of the largest population of brown bears and the most liberal hunting season and bag limit of anywhere in the state. 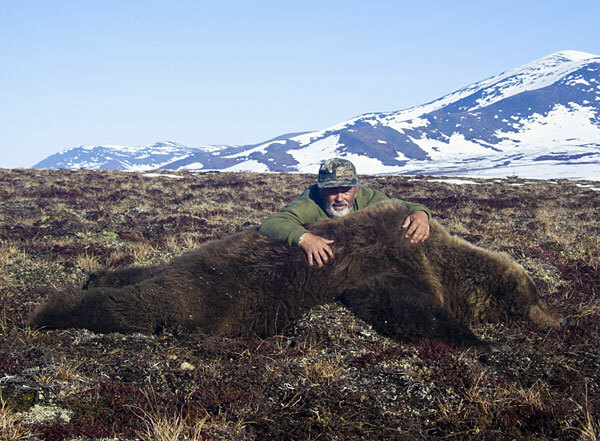 The season is open for over 8 months, which offers us almost 3 months of prime opportunities. 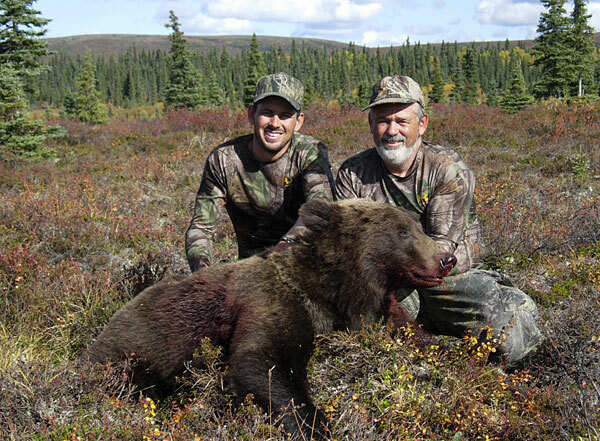 We hunt brownies every spring and fall, with an annual bag limit of one per year. 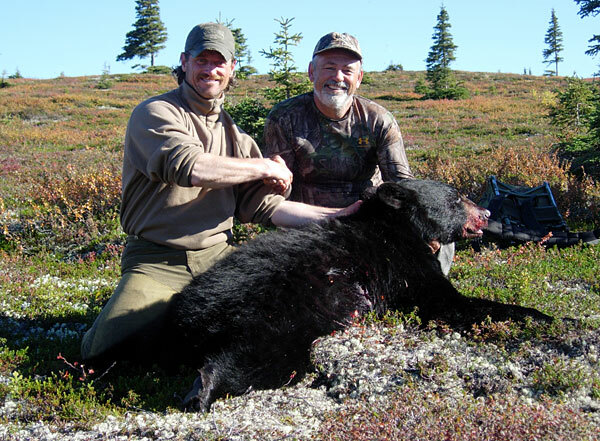 Unit 13 Spring Grizzly Bear Hunts - this season here is open 12 months of the year and never closes due to high Bear density. 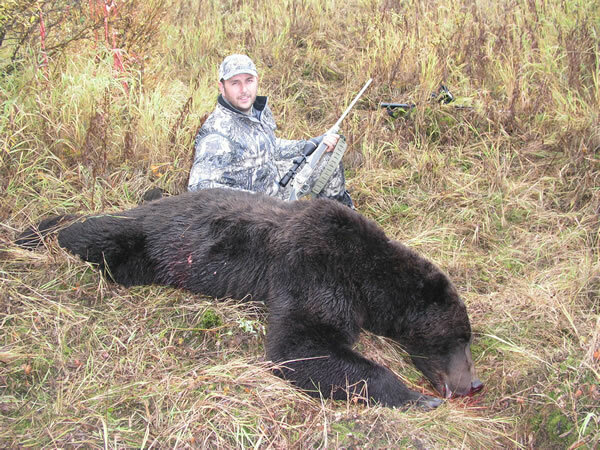 6 1/2 to 8ft Bear. 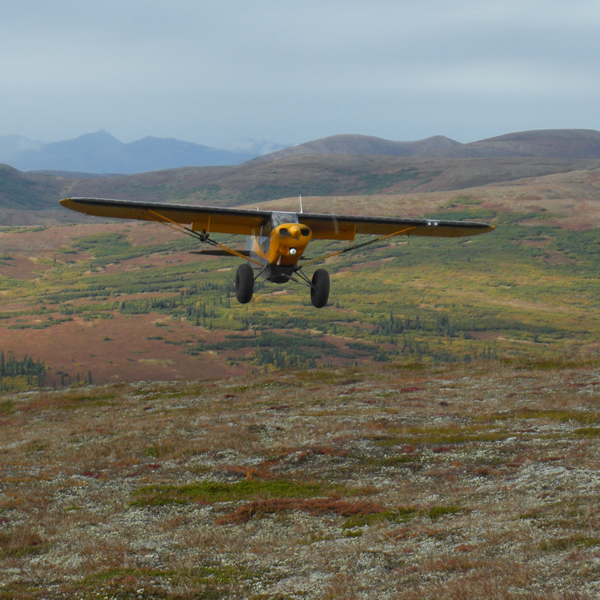 We fly you to one of our remote spike camps, from which all hunting is done by walking from camp and glassing. 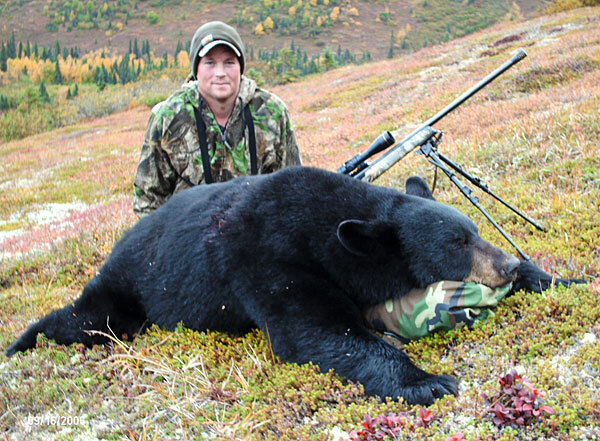 This time of year we use the spot and stalk method almost exclusively. 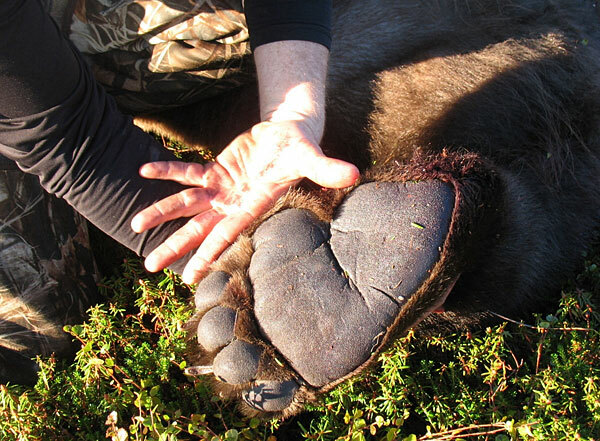 The bear density in our area is high. 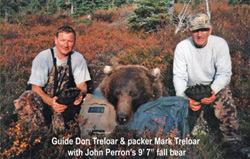 Expect to see numerous bears during your hunt. 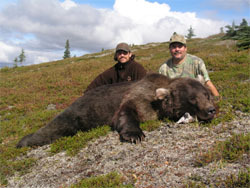 Other critters you may see include moose, black bear, wolf and wolverine. 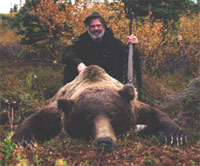 I'm sure you'll enjoy our great wilderness. 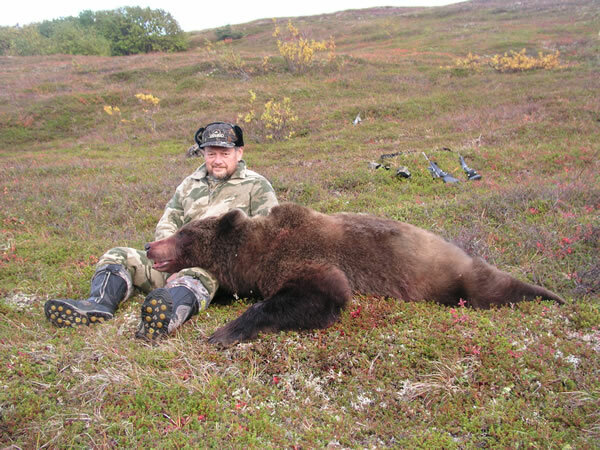 It really is a great hunt! 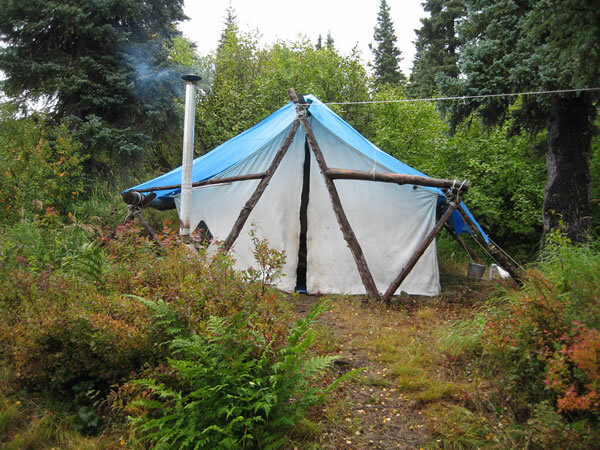 Please feel free to call us at (907) 373-2047 and let us know what we can do on this end to help you plan and prepare for your trip.